Verdi’s thrilling early opera is ideally served by the masterful conducting of Music Director James Levine and Elijah Moshinsky’s powerful production. 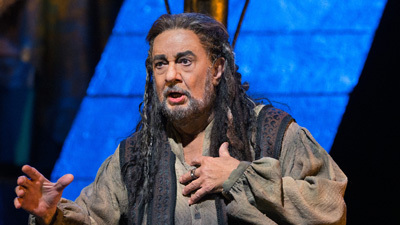 Juan Pons in the title role of the Babylonian King leads the cast of this biblical drama, opposite Maria Guleghina as the ambitious Abigaille and Samuel Ramey as the noble high priest of Jerusalem, Zaccaria. Gwyn Hughes Jones and Wendy White are the young lovers, Ismaele and Fenena.